When it comes to understanding and serving gifted kids, school administrators run the gamut from awful to awesome—and I’ve worked with both types. The awful ones may talk a good game about how every child’s needs are met through individualized instruction, but the follow-through is lacking (or nonexistent), and the commitment to gifted kids as an important subset of learners is given little more than lip service. The awesome school administrators can actually point to specific programs and classes where gifted kids are grouped with each other regularly and tout the fact that only teachers who have professional knowledge of and experience with gifted kids instruct these intellectually able learners. When you find that your gifted child’s school is being led by an awesome school administrator, your job as a parent is easy: Mention how particular programs or projects benefit your child and encourage other parents of gifted kids to do the same. If problems arise—and even with the best school principals, they can—your positive approach will be the most effective tool at your disposal to address the issue. The principal will perceive you as an ally, not an enemy. But what happens when the principal veers more toward awful than awesome? As a parent, you’ll need to be prepared with some polite (but direct) responses to particular myths that might be set forth as truths. 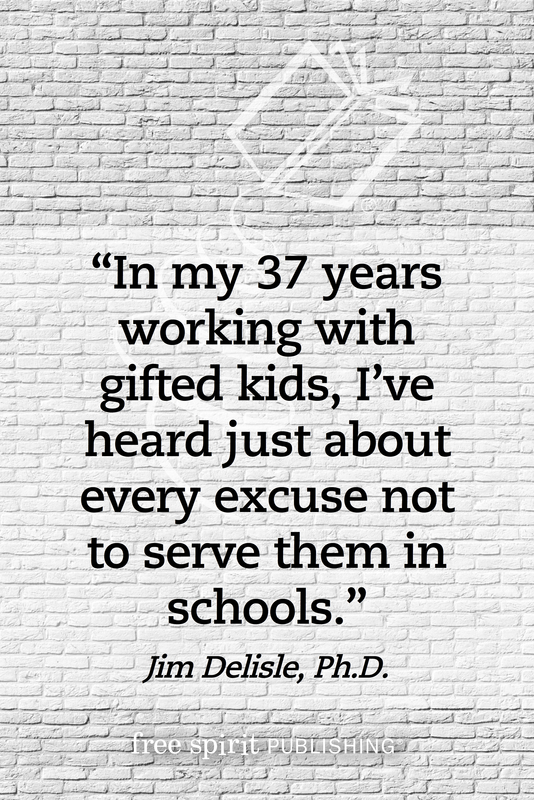 In my 37 years working with gifted kids, I’ve heard just about every excuse not to serve them in schools. Below, you’ll find the “Top 5 Offending Statements” I’ve heard from school administrators who choose to ignore gifted kids’ needs. Following each Offending Statement, I’ve included what you can say and do to advocate for the gifted kids in your care. So, when they say that, you say this. Bonus! Download “What to Say When Teachers Say No,” a free printable to empower students to take charge of their education from When Gifted Kids Don’t Have All the Answers: How to Meet Their Social and Emotional Needs. Some of the rejoinders for parents above might seem a bit in-your-face, and I would certainly not suggest using them with a school administrator who is making a good effort to serve gifted kids. However, for those administrators who find one excuse after another for denying services to gifted students—perhaps even denying their very existence—an in-your-face response, backed by evidence, may get you more attention than you think. There are other steps to take as you advocate for your gifted child (hint: the most effective way is to form a parent support group with other moms and dads of gifted kids), but dispelling myths is a starting point with a school administrator who chooses to believe that gifted kids have no unique needs at all. Agree? Disagree? Are you a principal with another perspective? Please comment! Jim Delisle, Ph.D., has worked with and for gifted kids for 37 years as a teacher, counselor, professor, and dad. He currently teaches gifted high school students part-time at Scholars Academy in Conway, South Carolina. The author of 19 books, including The Gifted Teen Survival Guide (with Judy Galbraith), Jim’s latest book is Dumbing Down America: The War on Our Nation’s Brightest Young Minds (And What We Can Do to Fight Back). 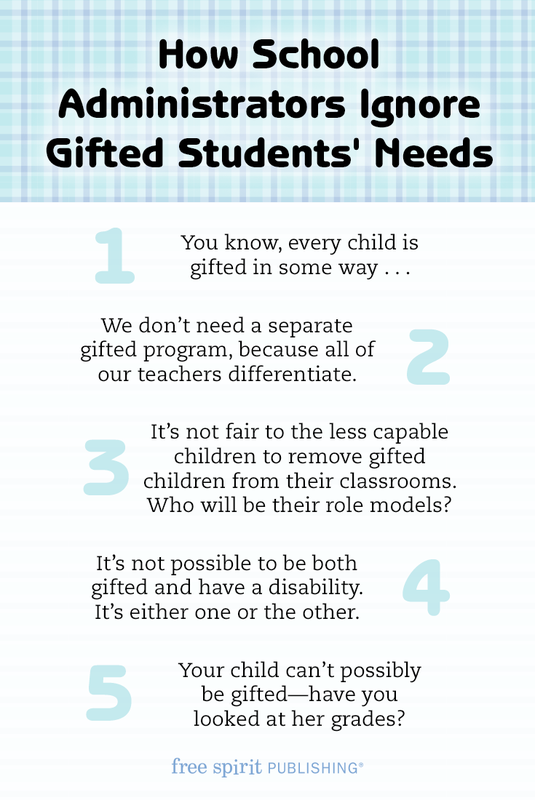 This entry was posted in Gifted Education, Parenting and tagged 2e, differentiated instruction, differentiation, Free Spirit author, gifted children, gifted education, gifted students, GT, high-ability learners, questions about gifted kids, teaching gifted and talented students, twice-exceptional. Bookmark the permalink. The one I hear lately is “Leaders rise to the top no matter what class you put them in”. What would your suggestion be for this one? Clapping out loud! Thanks for the suggestion! 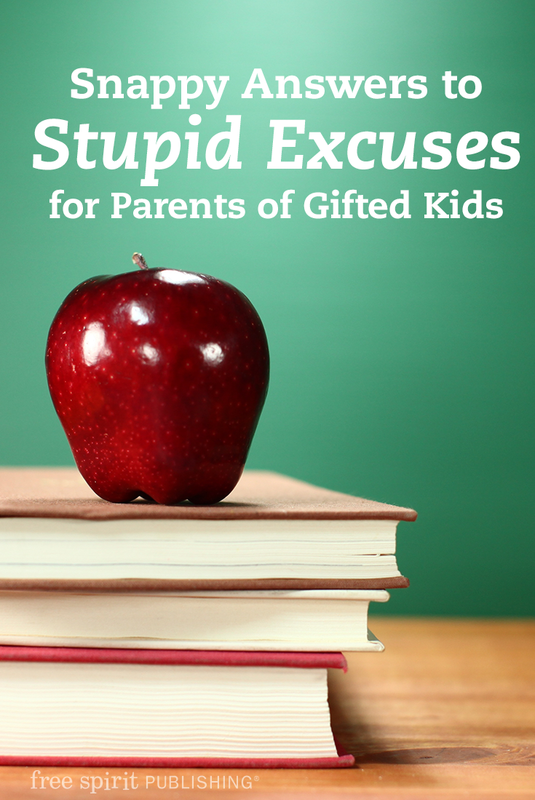 You won’t hear any of these excuses at the future Rochester-area charter school for gifted learners – https://www.facebook.com/groups/NEOgifted/ – but until then, here are some great answers for when you don’t have Jim Delisle on speed dial!